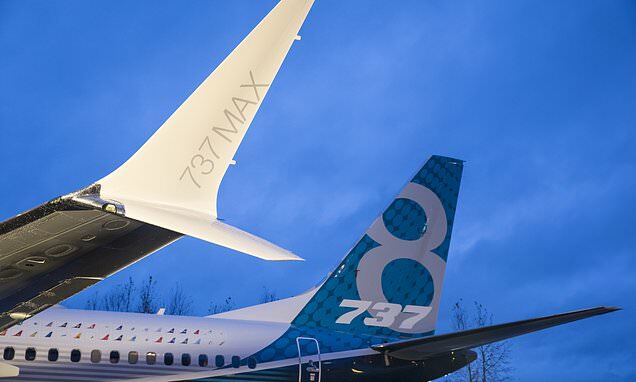 The Federal Aviation Administration has been accused of failing to vet Boeing's 737 MAX planes and allowing the company to have too much influence on aircraft approval. Employees warned that Boeing Co had too much sway on the certification process during a 2012 investigation by the Department of Transportation. Auditors carrying out that probe concluded that the FAA wasn't doing enough to 'hold Boeing accountable'. The results of that probe have come to light as the DoT's Inspector General is reportedly launching an investigation into the FAA's approval of the 737 MAX model after the planes were grounded indefinitely worldwide last week in the wake of two deadly accidents. The 2012 investigation - which predated 737 MAX development - revealed that friction over Boeing's treatment had created a 'negative work environment' among FAA employees who approve new and modified aircraft models. Many employees said they'd faced retaliation for voicing their concerns over Boeing's influence. That influence has only expanded since the audit as the FAA shifted more approval authority over to the manufacturer itself, allowing Boeing to select many of the personnel tasked with overseeing tests and vouching for safety. 'It raises for me the question of whether the agency is properly funded, properly staffed and whether there has been enough independent oversight,' Jim Hall, an aviation safety consultant who was chairman of the National Transportation Safety Board from 1994 to 2001, told Bloomberg. Citing a government official, the Wall Street Journal reported that a grand jury in Washington has issued a subpoena seeking 'documents, including correspondence, emails and other messages' from at least one person involved in the development of the 737 MAX planes. The investigation will reportedly be focused on an automatic safety system implicated in the October crash involving Lion Air in Indonesia.